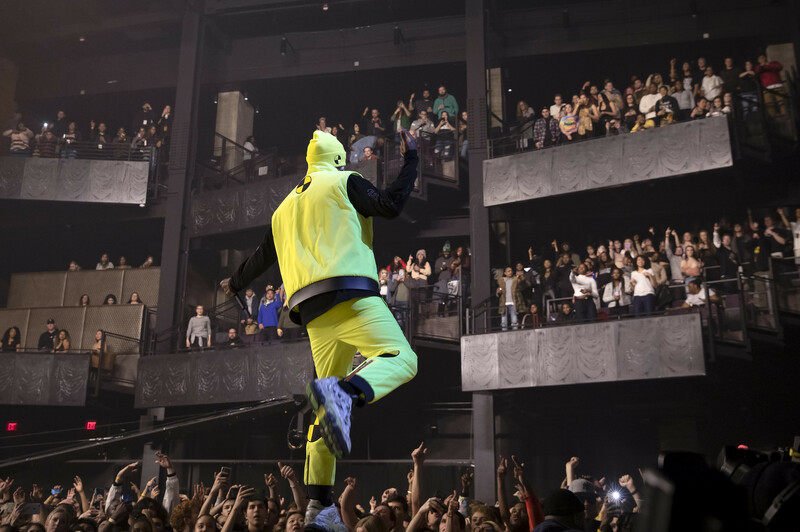 Posted on 01/23/2019 by Will Colbert	in Live Review and tagged A$AP Rocky, hip hop, New York City, rap, The Anthem. 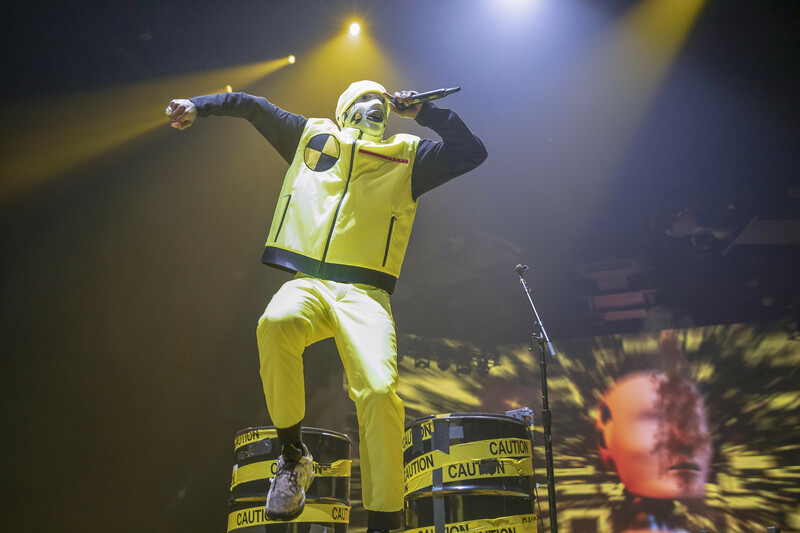 Rapper, actor, and fashion trendsetter A$AP Rocky made a recent stop at The Anthem as part of his Injured Generation Tour. 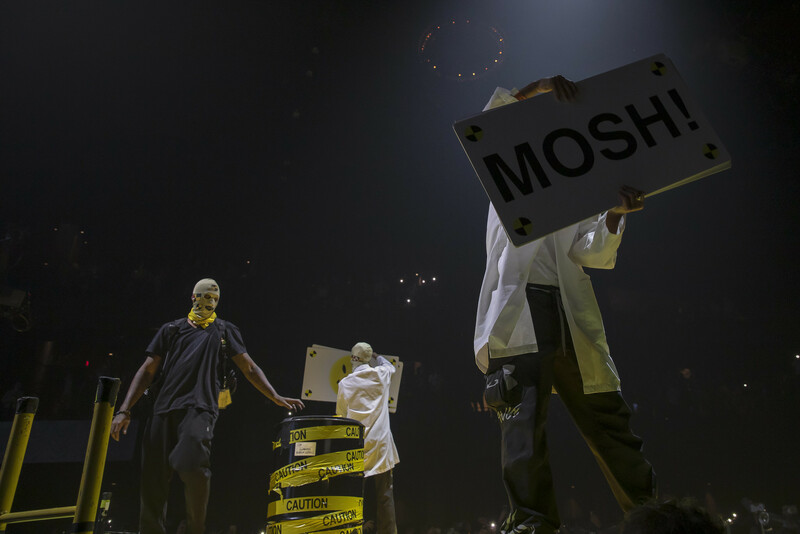 A fleet of 18-wheelers with the bits and parts for an insane production likely followed the high-octane emcee. 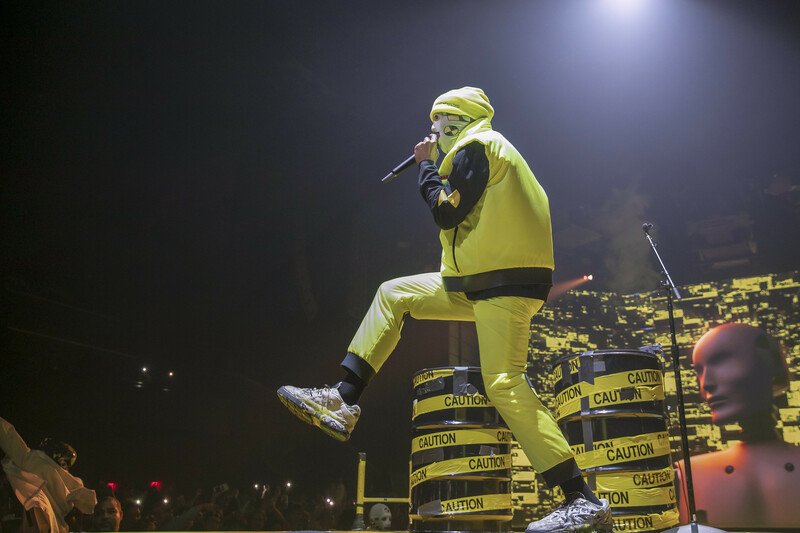 The intricate stage design for the sold-out performance was unlike any that I’ve seen at the DC venue. 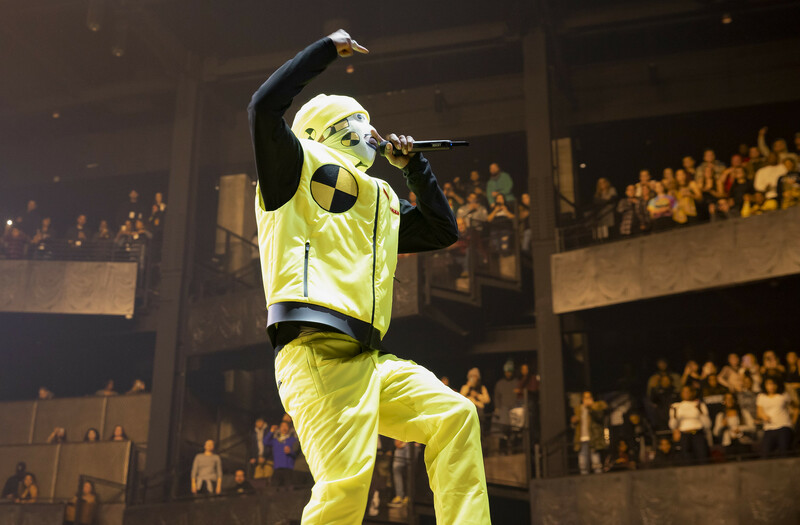 On Jan. 20, the Harlemite raced down the T shaped catwalk to open the show with “A$AP Forever,” off last year’s Testing album. 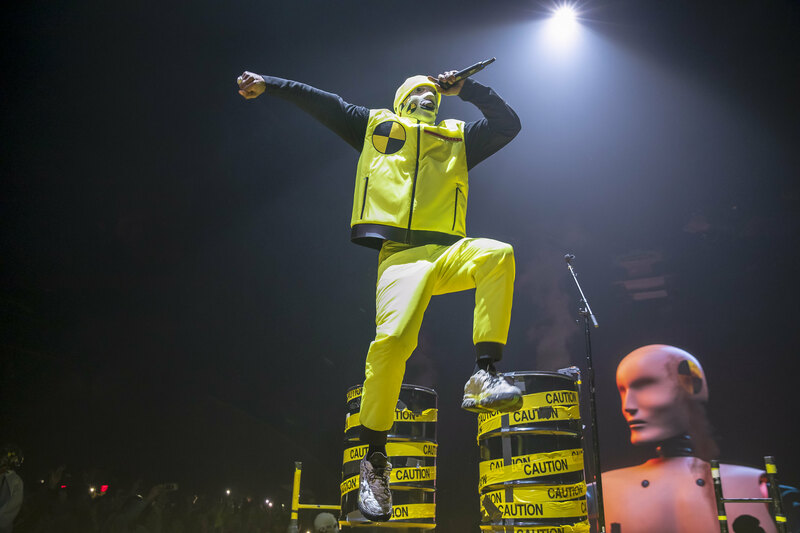 The slim rapper, who also goes by Pretty Flacko, rhymed in a crash test dummy mask as similarly outfitted hypemen circled the pit surrounding the stage. 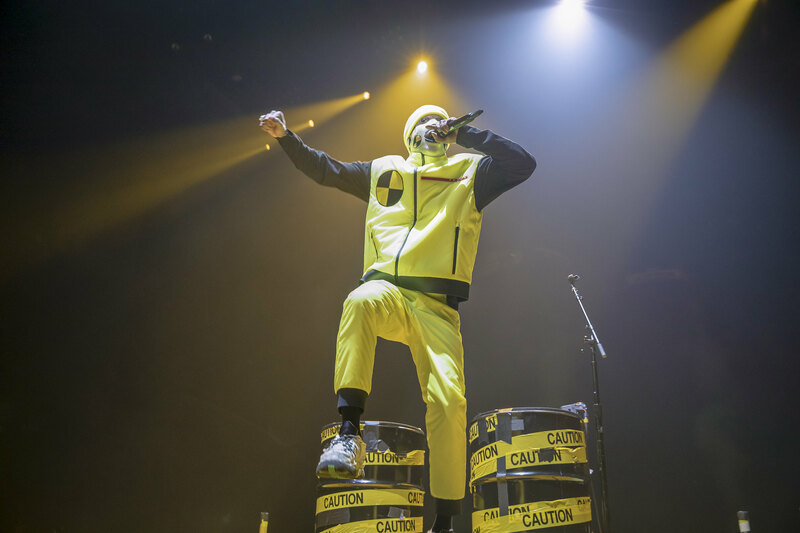 The theme recalled an ’80s-era safety belt PSA. In this rendition, the “dummies” demanded that the fans turn up, not buckle up. 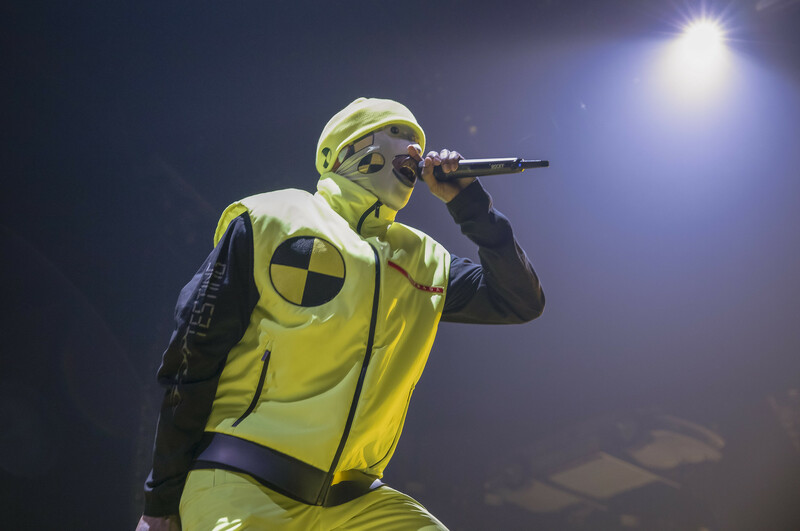 Lights glinted off Rocky’s gold grill as he leaped around the stage performing tracks from Testing. “Praise the Lord (Da Shine)” was befitting a scene out of Narcos. My Netflix-skewed imagination pictured a Cessna aircraft maneuvering through a dense rainforest as the song’s pan flute played. 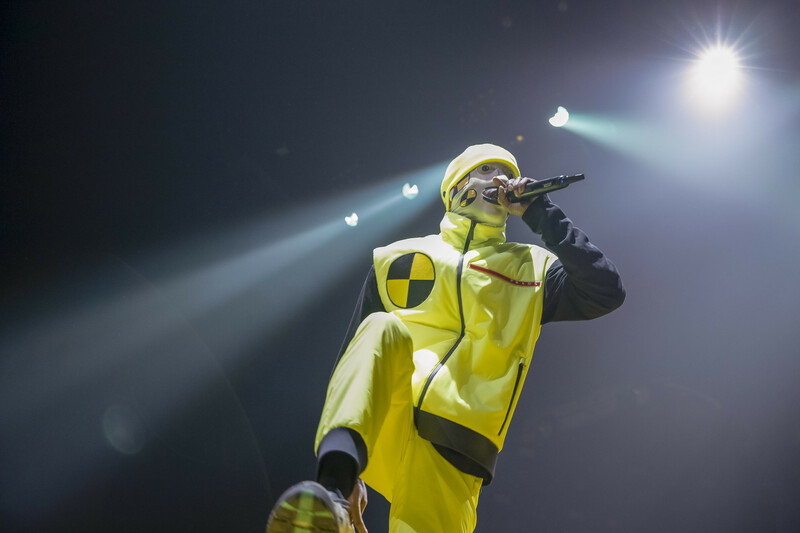 Testing is A$AP Rocky’s third studio album and most experimental release to date. 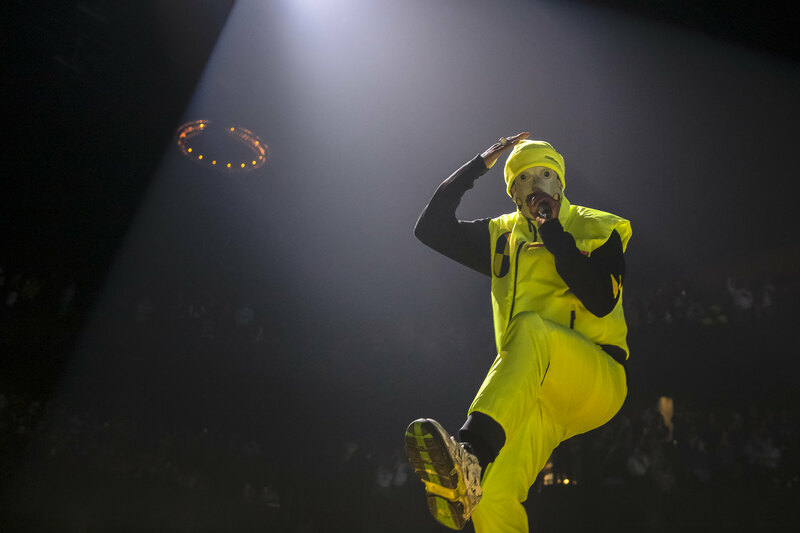 It’s also the first album created without the physical presence of his friend and collaborator A$AP Yams. The co-founder of the A$AP Mob hip hop collective passed away from a drug overdose prior to the 2015 release of the AT.LONG.LAST.A$AP album. Car engines roared during a brief pause in the action. 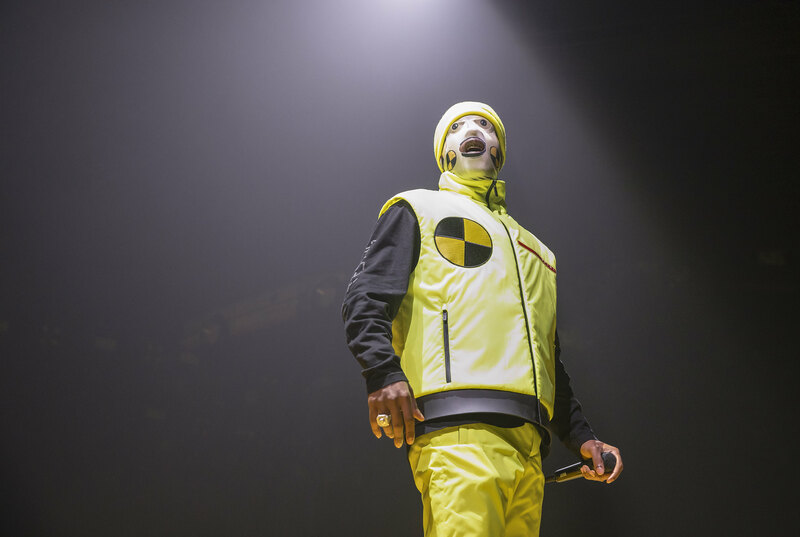 Flacko descended into the darkness only to reappear atop a vintage luxury car descending from the rafters. Two other cars flanked Rocky as each vehicle was slowly lowered from the ceiling. 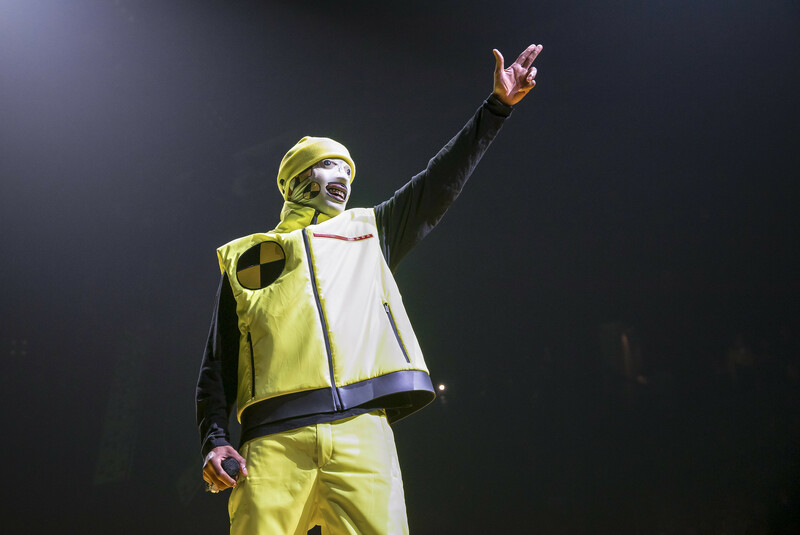 It was a sight to see the rapper performing “Gunz N Butter” on the hood of a vehicle suspended high above the crowd. 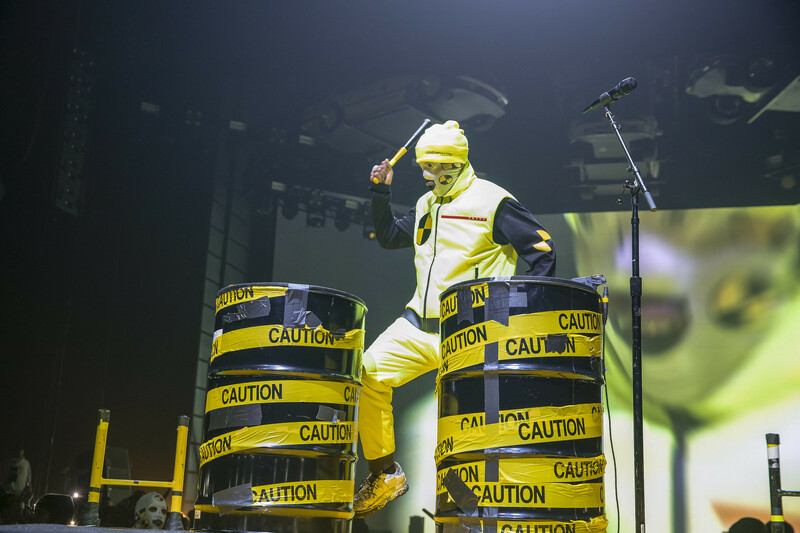 “Long live A$AP Yams,” Rocky proclaimed before ending the night with his performance of the title track off the LONG.LIVE.A$AP album (2013). 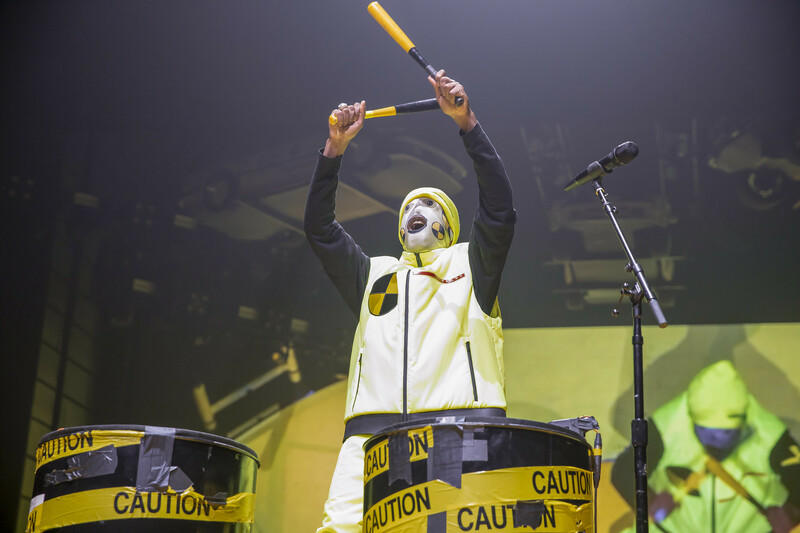 It was an electrifying show that exemplified A$AP Rocky’s growth as a musician and performer. Count me in for the next tour! I’m dying to see how he tops the floating cars. 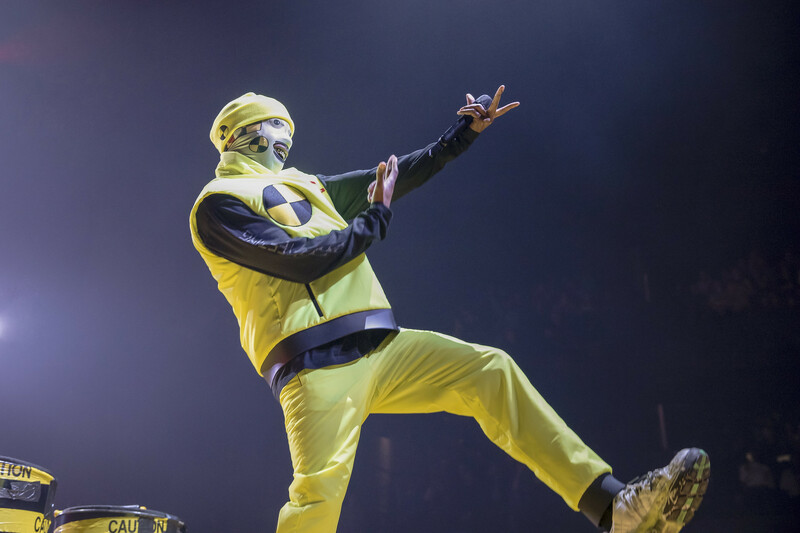 Catch A$AP Rocky as he continues the Injured Generation tour. 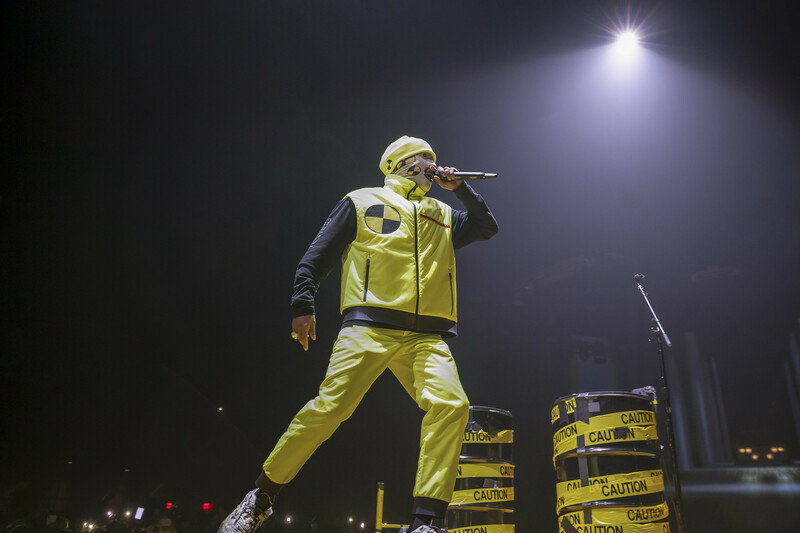 Here are some photos of A$AP Rocky performing at The Anthem on Jan. 20, 2019. All photos copyright and courtesy of Will Colbert.